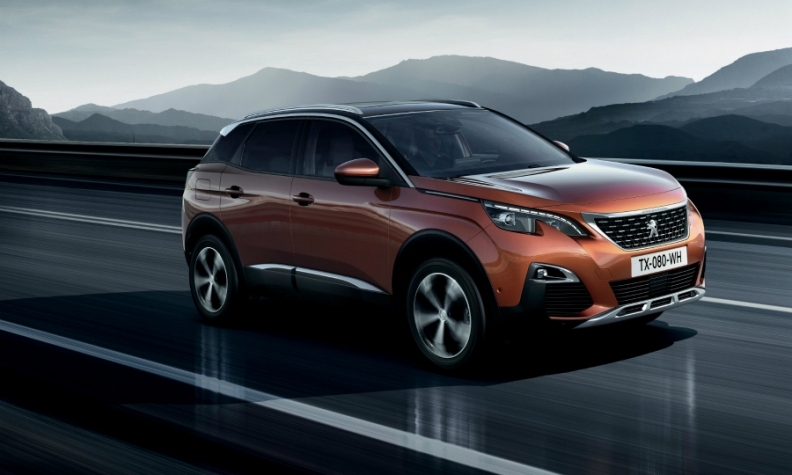 Peugeot gave its latest 3008 an SUV makeover. Peugeot's decision to replace its 3008 and 5008 minivans with more crossover-oriented versions has paid off handsomely. The two models easily outsold their predecessors in 2017, helping the brand's global sales to jump 10 percent to 2.12 million last year. The 3008 compact SUV was introduced in Europe late 2016. It has quickly become a key model for Peugeot, even outselling the 308 hatchback and wagon. The 3008 is now hovering just outside the top 10 best-sellers in Europe, according JATO Dynamics. In November, the 3008 ranked No. 12 among Europe's top-selling cars with sales of 16,626, just a few hundred behind the No. 10 Ford Focus compact hatchback and Citroen C3 subcompact hatchback at No. 11. Peugeot sold 155,087 3008s in Europe through November, ranking the SUV at No. 23. Peugeot sold 259,300 units of the 3008 worldwide in 2017, PSA said on Tuesday when it released annual vehicle sales for last year. "It's a big success," said JATO global analyst Felipe Munoz. "We are still seeing very big growth every month, even though it's not a new car and has been on the market for more than a year." Munoz expects the 3008 to remain a strong seller in Europe this year. The 3008 ranks third behind the Nissan Qashqai and Volkswagen Tiguan in Europe's compact SUV/crossover segment. The midsize 5008 is selling well after getting off to a delayed start last year when a fire at interiors supplier Recticel's plant in the Czech Republic hit deliveries of parts. PSA said it decided to push back the 5008's debut to late spring to ensure a supply of components for the 3008, which was already on the market and selling well. Even so, Peugeot has sold 85,900 units of the 5008 worldwide since its launch, including 40,232 in Europe through November. That represents an increase of 54 percent over 2016 in Europe. The 5008 outsold the segment's leaders, the Nissan X-Trail, Toyota RAV-4 and Skoda Kodiaq, in November, according to JATO. Showing the strength of the crossover and SUV segments, Peugeot also benefited from a 3 percent sales gain from the subcompact 2008, which remained the company's second-best-selling model in Europe after the 208. The high-riding 2008, which entered the European market in 2013, replaced the 207 station wagon in Peugeot's lineup. Together, the 2008, 3008 and 5008 accounted for 47 percent of Peugeot's European sales in November.